Slice eggplant into rounds about 1 inch thick. In a shallow dish combine almond flour, parmesan cheese, garlic, black pepper, and oregano. Spray each eggplant slice with cooking spray on both sides and dredge in dry mixture, coating evenly. Line a baking sheet with foil and set baking racks inside of it – I use metal cooling racks. If you don’t have these then you can lay them flat on the sheet. Lay flat and bake for 25 minutes, flipped halfway through baking or until golden brown. 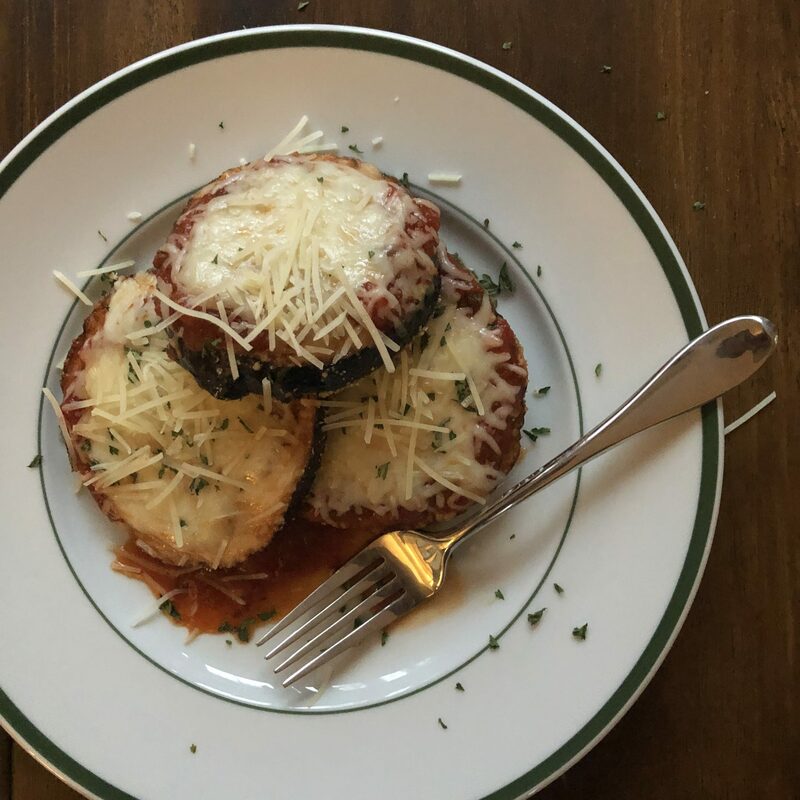 Remove from oven and spoon tomato sauce on each circle of eggplant and top with cheese. Put back in the oven for 5 minutes to melt cheese. Serve as is, with salad, on top of spiralized zucchini, or spaghetti squash.